Fargesias come from upland areas of China and have thin, colourful canes topped by a fountain of fine foliage. These arching bamboos can be grown in containers as well as in the garden. Fargesia rufa, is a newer introduction and is one of the showiest compact bamboos available. The foliage has an unusual blue-green glow. Slender green canes are banded with colourful sheaths that vary from orange-red to shrimp-pink, depending on the soil. In 10 years, Fargesia rufa will grow to a maximum height of 2. 5m (8ft), in a clump up to 1. 2m (4ft) wide. 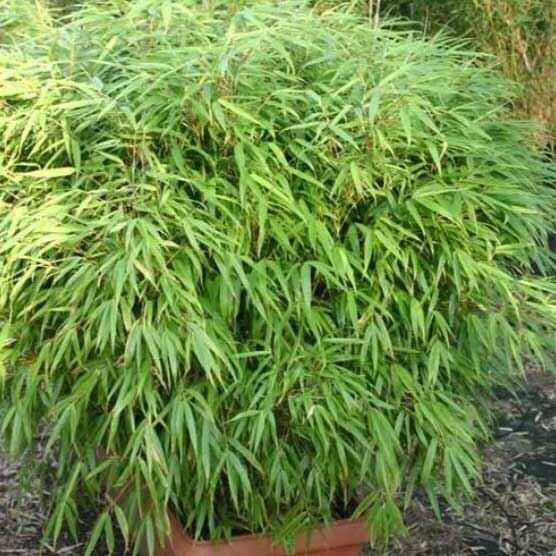 This makes it an ideal choice for growing as a soliary specimen in a patio planter, or it is also great when utilised as a screening plant, with several planted together in a row to form a bamboo hedge! Good sized plants, Supplied in approx 5 Litre containers.